You are here: Home » Blog » What’s New for Your SEO Agency in 2015? One thing that your SEO agency can depend upon is change. 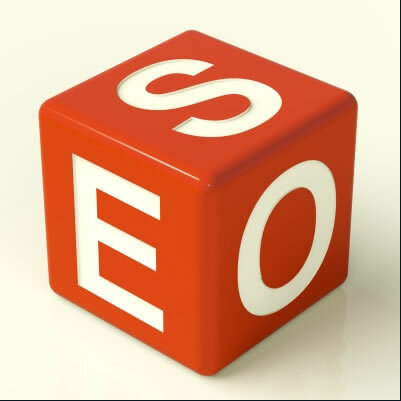 SEO is an ever-changing field that professionals have to keep up with in order to remain viable. It’s likely that your SEO agency is looking ahead to what’s in store for SEO in 2015. Already there are changes on the horizon, and many agencies are planning their strategy to get ahead and take your company with them. When discussing your business’s marketing plans for the coming year, be sure to talk to your firm about the following tenets of tomorrow’s SEO. Your firm may already be thinking in terms of local SEO to effectively promote your business in its home region. Even global companies are thinking of new ways to market for local areas. Local SEO practices support the growing trend among consumers to shop and buy locally. Your firm will be considering ways to help you capture this local market before your competitors do. Be sure to work with your SEO agency to develop a strategy . Firms are likely to pay serious attention to mobile SEO in 2015. In many cases, SEO for mobile operates differently than SEO for the desktop. One thing your SEO firm will consider is the load time for your mobile site. You’ll want to ensure a speedy load time by prioritizing elements on your site. Drop anything not needed in order to keep your site loading fast. As more and more people switch to mobile devices to browse the internet, your SEO firm will be spending increasing amounts of time getting your mobile site optimized. According to SEO experts, content is going to continue to be a major facet of SEO in the New Year. Fresh, well-written content is something every online business needs to think about. Already, major companies have plans to revamp their content every year so that it remains new and current. If your content is not up to par, you’ll need to work with your SEO agency to make it so. Your agency may have writers on staff or contract with professional writing agencies to obtain good content. If you haven’t developed better content for your site, you’re missing out on a valuable SEO opportunity. Your firm will likely advise some changes to content in the coming year. While many SEO firms have been working to ensure website content is authoritative, there is a new trend on the horizon that encourages conversational phrasing. In essence, some SEO agencies will be focused on making content friendly, more conversational in nature–and less hinged to keyword terminology. The goal is all about natural forms of communication and optimization for social platforms. Aside from friendly content, your SEO firm will also have to consider more ways to integrate your business with social media platforms. Social media marketing is firmly ensconced in the world of SEO. Your firm will help you develop a strategy to make social media marketing a key component of your overall plan. If your business does not have a strong social media presence, your firm will likely be working to build you one. Because experts say that social media is already demonstrably influencing page rankings, it’s more important than ever to make these networks an SEO priority. Experts also predict that SEO firms will be busier than ever in 2015 as business holdouts finally realize there is no alternative to SEO. To remain competitive, businesses must optimize their business sites and hire the experts that know how it should be done. Many businesses that have already embraced SEO are enjoying the benefits of a sophisticated online presence. If your business has not fully embraced the need for SEO, make 2015 the year you get on board so that you can enjoy its benefits and watch your business grow. These are some of the big trends you can expect your SEO firm to focus on in 2015. There will likely be many more. SEO is a fluid field and Google has kept professionals on their toes with its many recent changes. Because more change is to come, your SEO agency has to constantly look ahead to plan for the future. Firms that embrace change are likely going to be successful. Be sure to talk to your firm about what they plan to do for your business in 2015.